I didn’t even know I was healed ’til that button got pushed again. It’s the reminder button; the deja vu scenario that is a shadow of former pain, betrayal, abuse or loss, disappointment and regret. You all know my QVC experience by now. The big break that ended up being the first professional heartbreak of my adult life so wounded me that, though I lived practically across the street from the studio, I couldn’t drive by the campus. For years. And SHOP there? Fuggetaboutit. You’d think a year or two of that would be sufficient, but we’re talking DECADES. To this day, I choose not to fund the place that hired me away only to drop me three months later, leaving me with a lease, a pixie haircut, and a severe crisis of confidence. But from the experience itself? Totally healed. It is always the blip on my resume people want to discuss and a great source of stories to entertain others at parties. Perhaps. If you let it. My take on this is that if you learn a LESSON from the pain, it’s a silver lining that can help you avoid making the same mistake twice. Well meaning people sometimes say, “How could you ever get sucked in to something like that?” Hey, it’s not like it started OUT like the hell it ended up to be. It puzzles me that people could be so smug to think they couldn’t possibly be lassoed in to something they later regretted…whether a business deal, a relationship, or any type of investment. This just happened to be an investment of my very life. The years that have unfolded AFTER have taught me so many lessons. Primarily, that questioning is healthy; trust should be earned (not granted just because of position) and that when my gut screams, “No!” I should listen to it. Most of the following years have been free of anything that even remotely smacks of the potential for control. But I recently found myself in a gathering (I thought it was a professional, business networking group!) and it soon became apparent that there was a religious undercurrent that reminded me of the seductive beginnings of my long ago church life. Instead of causing me anxiety or torment, the experience was necessary because it showed me just how healed I was. Sometimes things come around again just so you can celebrate such a victory. Going back to my church story, that good has come out of such bad brings me JOY. And really, SO much good came out of a bad place. 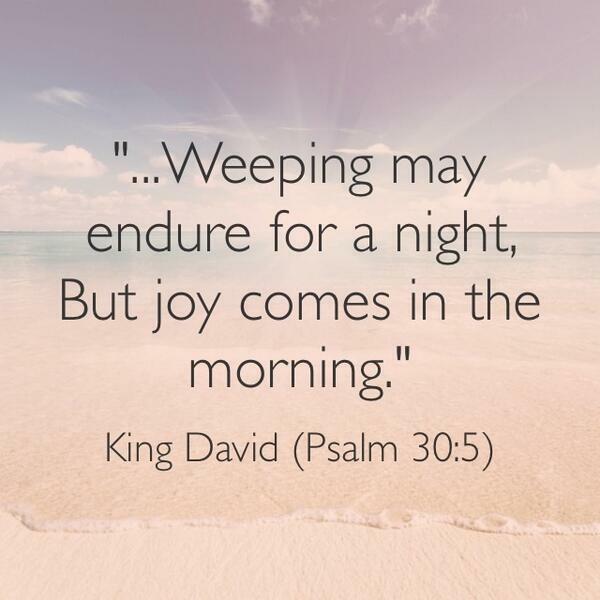 Are you weeping right now or filled with sorrow? Whatever has caused you pain can turn into the greatest life lesson; a tool to make you more empathetic and less judgmental. It can give you wisdom that can save someone else from pain. Remarkably, it can even end up being a source of joy. ‘Cause you’re not that person anymore. May you find the joy in every little thing this week, my friends. This was a great one. Never knew about your QVC time. Also you answered a lot of questions I had about church and different people. (such as yourself) Thank you. Happy your trip went so well. You don’t know how many friends want to go there. Happy your HAPPY.